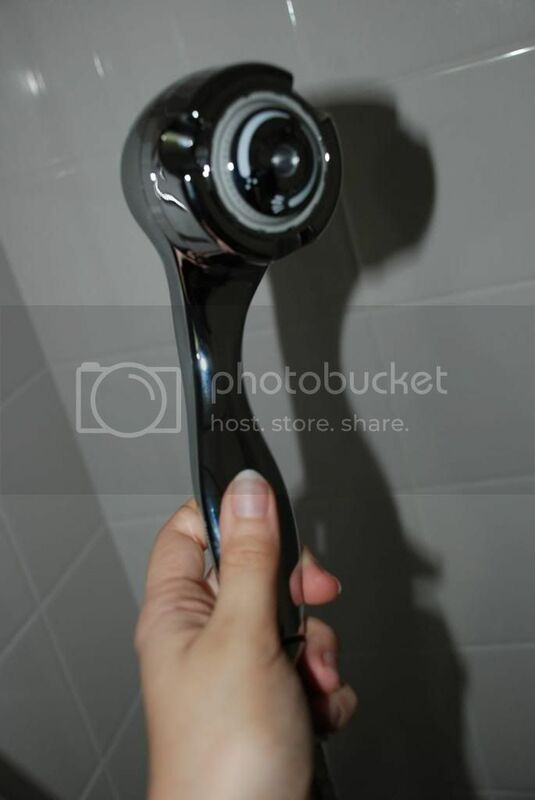 Andrea's World Reviews: Chrome Niagara Earth Massage Showerhead Review & GIVEAWAY!! Chrome Niagara Earth Massage Showerhead Review & GIVEAWAY!! After a long hard day, there is nothing better than a nice, hot, relaxing shower. And if your shower can give you a massage, that is just icing on the cake. A massage head can really help relieve tension and work out the knots that stress and hard work create. Now when it comes to something as important as a shower head, functionality is essential, but since it is also part of your homes decor in a sense, it is nice to have something aesthetically pleasing as well. 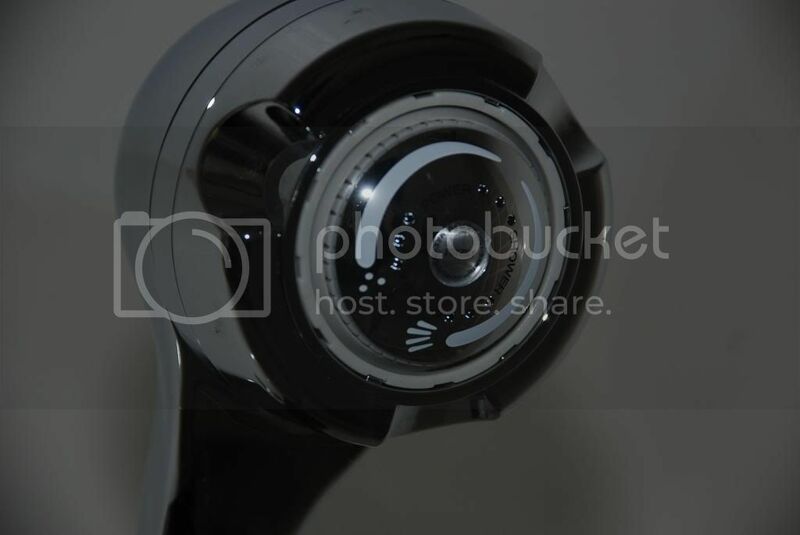 That is why I was so smitten with the Chrome Niagara Earth Massage Handheld Showerhead. This shower head is lovely. I love how it shines, and it is so sleek, even the shape is perfect. As you an see, it is handheld, making it perfect for getting into any place you need some extra TLC. It also makes it super easy to rinse my kids' hair when I bathe them. It has two setting, Shower or Power, so you can get a great shower(with good pressure) or get some extra massaging pressure. 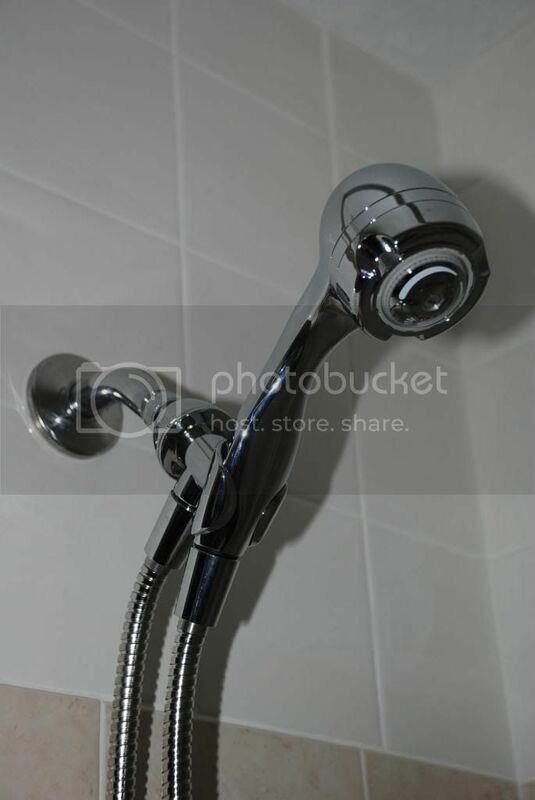 As if all of that was not wonderful enough, this shower head uses only 1.5 gallons per minute. The non-removable flow compensator offers greater force at low pressure, conserving water and saving money while enhancing performance. Also contributing to maximum energy savings is the non-aerating spray, which ensures less temperature loss. The 1.5 GPM Earth Massage Showerhead saves 40% more energy and water per year than a standard shower head. It is even backed by a 10-year manufacturer guarantee! You can't beat that. If you are looking to save money, conserve resources and/or get a fantastic shower, I highly suggest you give this shower head a try. That is why I am offer one of you the chance to win one for yourself. You can enter below. Good luck. I like that it is silver.. I like the 10-year manufacturer guarantee. awesome shower head, am relay like the shower design. Absolutely, after a hard job, we should take shower at least. For that a good showerhead is important. I think a good shower head can give a good shower. You can get relax after shower. The targeted massage routine will stretch the shortened muscles, which will help normalise posture. In addition, the massage therapist will usually suggest targeted home exercises to strengthen weakened muscles.